 ©2019 Bi-State Development. All Rights Reserved. The Real Estate part of the Institute focuses on the acquisition and conveyance of property in support of Transit-Oriented Development and a variety of large-scale regional economic development initiatives. This includes assembling property and facilitating development around MetroLink stations and other BSD holdings, in addition to strategically acquiring and disposing of real estate in support of other public and private investments. Pre-development planning, property assemblage and development around MetroLink stations in support of Transit-Oriented Development, and for other BSD holdings, for public transit facilities, as well as real estate investments for air, water, rail, motor vehicle and other terminal and parking facilities. Pre-development planning, property assemblage and development projects for airports, wharfs, docks, harbors, industrial parks, bridges, tunnels, warehouses, grain elevators, commodity and materials storage facilities, and sewage disposal plants.